Jessying - Malaysia Beauty Blog - Skin Care reviews, Make Up reviews and latest beauty news in town! 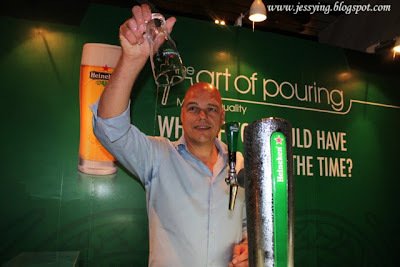 : Heineken presents "The Art of Pouring by Franck Evers"
Heineken presents "The Art of Pouring by Franck Evers"
Let's not talk about beauty too, but something that I just discovered and learned recently which is BEER! Well I don't take that much of beers but my bf loves it so much. 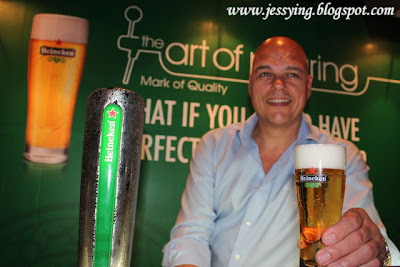 So when I attended the "Heineken : The Art of Pouring by Franck Evers" I don't really know what to expect. But after the event, I realised that pouring a perfect pint of beer can be an ART and it does make a big different to the person who drinks it! 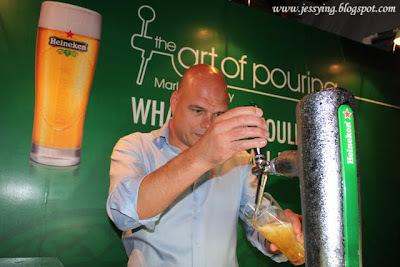 Franck said that there is a real ritual to pouring a perfect pint of beer, in fact, it is an art form. 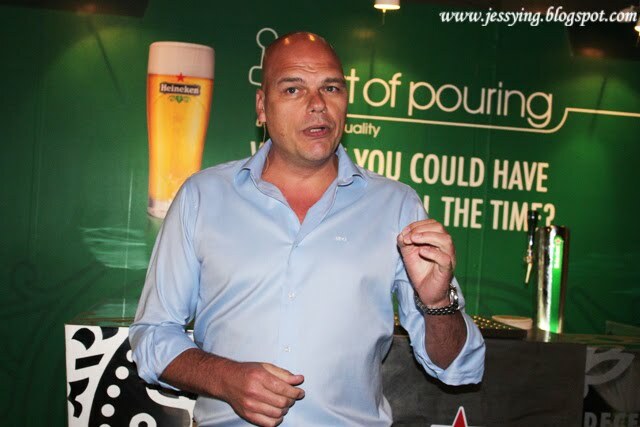 He explained that every single step makes a difference in getting the perfect pint of Beer. And the highlight of the event is where Franck going to do a demo ! Then move back the glass into 90 degree and close tap in a quick motion when the foam almost reaches the top of the glass. 3) Skim - Remove excess foam with a wet skimmer held at a 45-degree angle. This leaves a thin layer of water over the foam which protects in from oxidizing. A perfect two-finger thick head of foam ensures that the beer stays fresh and cold for longer keeping it from going flat. 4. Serve - Serve your customers quickly and with a smile. 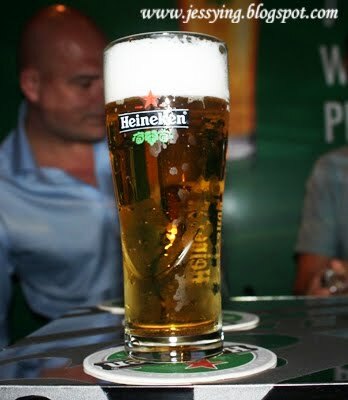 Present their Heineken in a Heineken branded glass, held at the bottom with the logo facing them. 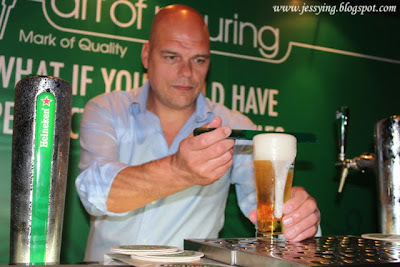 Well I also went forward to try to pour the perfect pint of beer under the guidance of Franck. 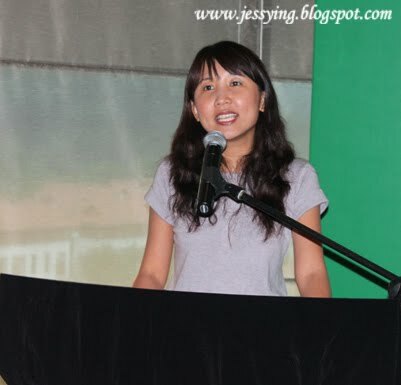 I must say it is not easy! 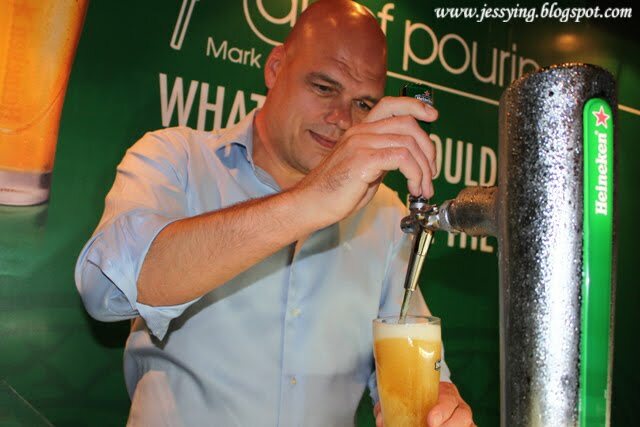 The secret in pouring the perfect pint of beer is about the timing as to when to tilt the glass and when to open and pull back beer tap to create the right amount of foam. 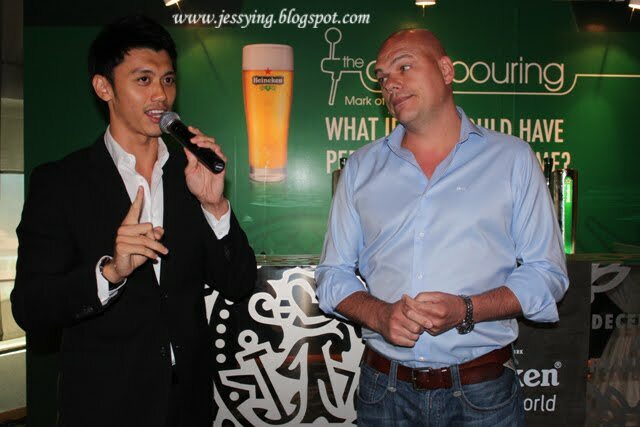 In fact at the beginning of the event, when Franck asked publicly who do not really like to drink beer, I put on my hand without hesistation. Yes I am not a fan of beer because it is sourish! Franck told me he is going to change my mind about beer and will make me a perfect pint of beer for me to try. My first sip was like wow nice chilling and gassy feeling. To be honest, I do not taste any bitterness at all at the first sip because the beer was cold. And the taste of the beer only comes after I swallowed! 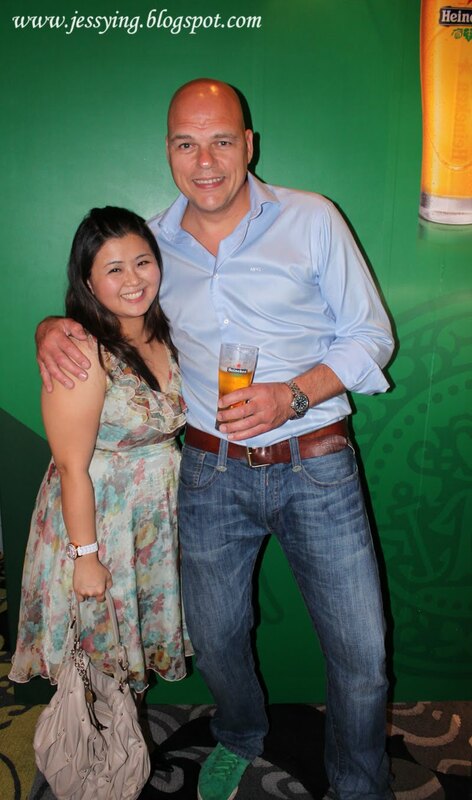 A picture of myself and Franck Evers! And finally I managed to pour a perfect pint of Heineken! 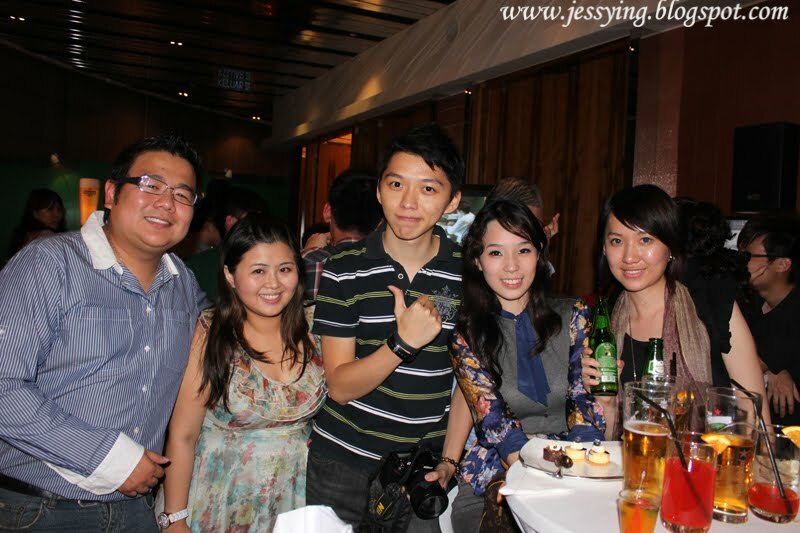 We enjoyed good beer, food and chit chatting! And at the end of the event I managed to ask Franck to write my name & signed on my Heineken glass which was given to me as a door gift! And yes I do think that a perfect pouring of every pint of beer does make a difference to the taste of the beer we are tasting regardless the brand. It is my honour to meet such a high profile blogger like you.